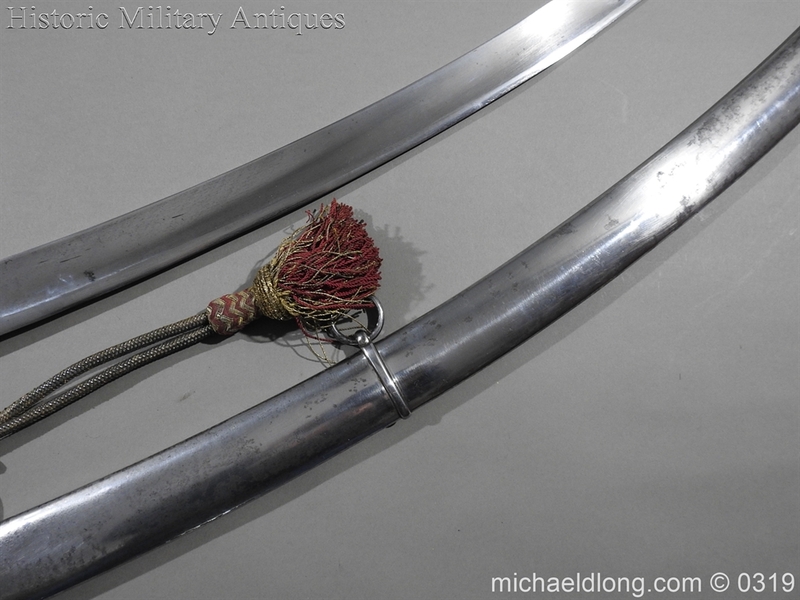 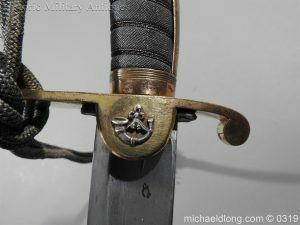 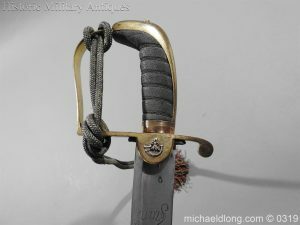 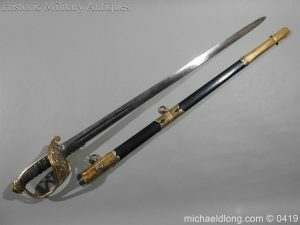 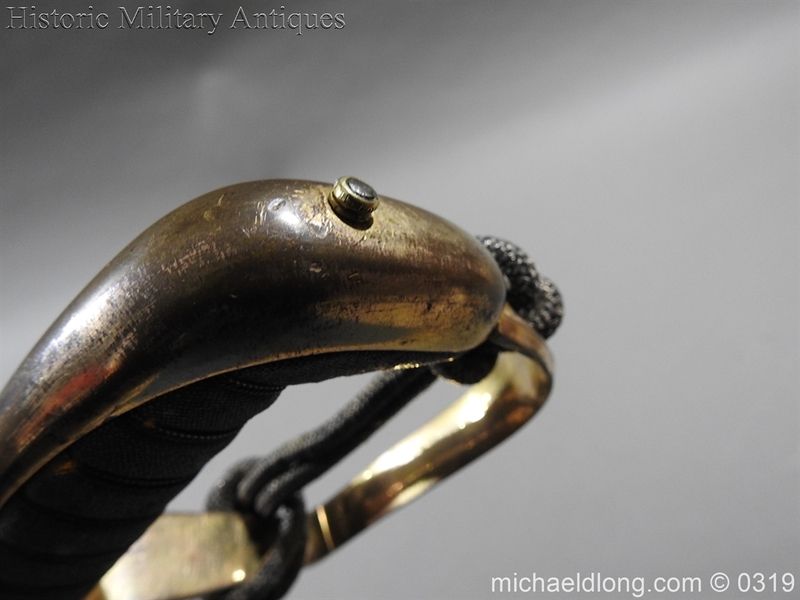 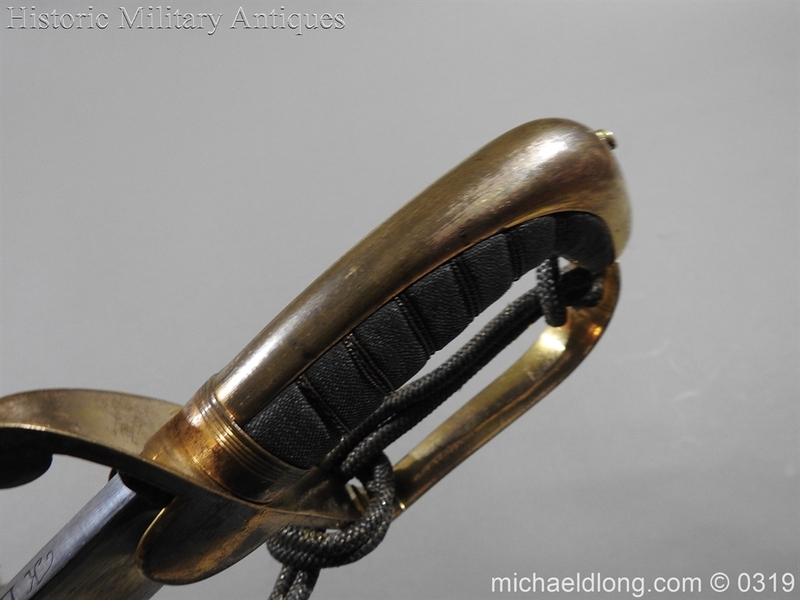 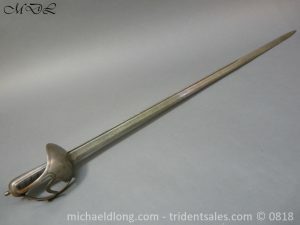 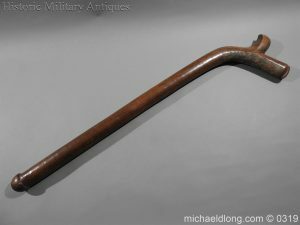 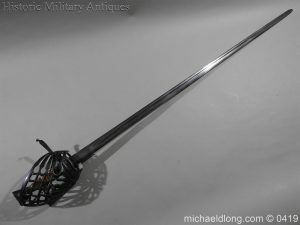 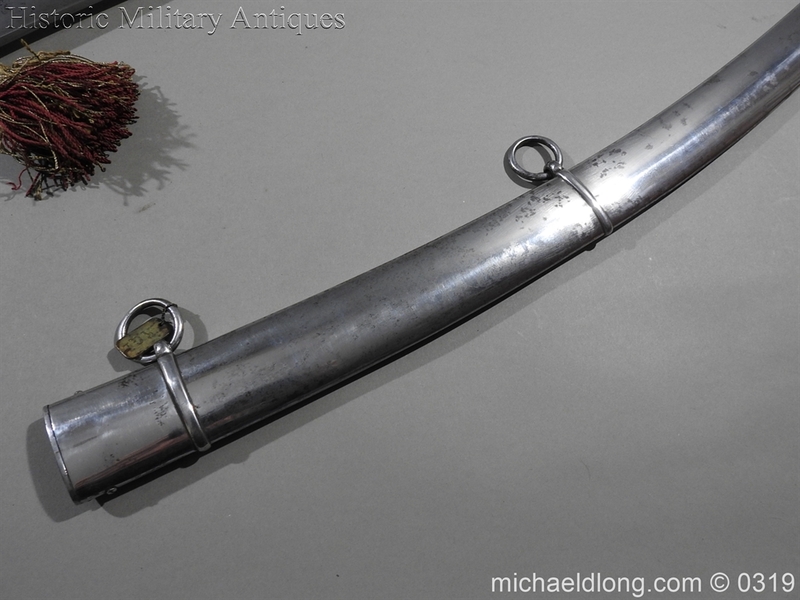 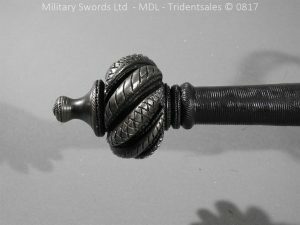 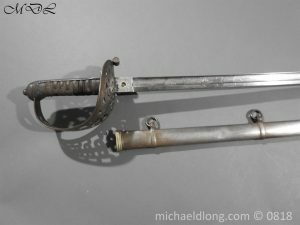 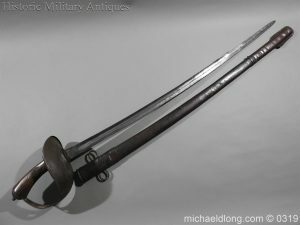 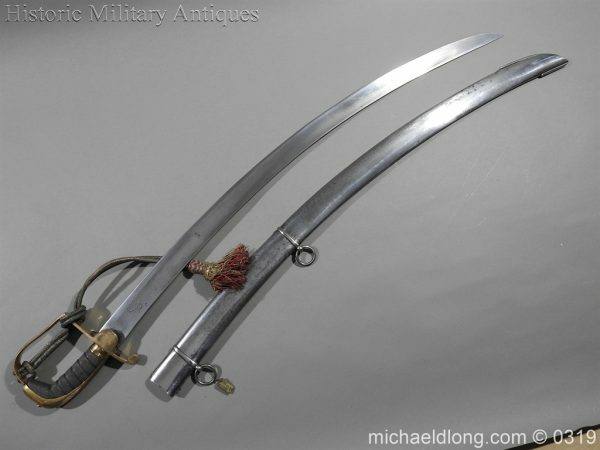 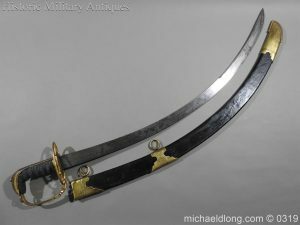 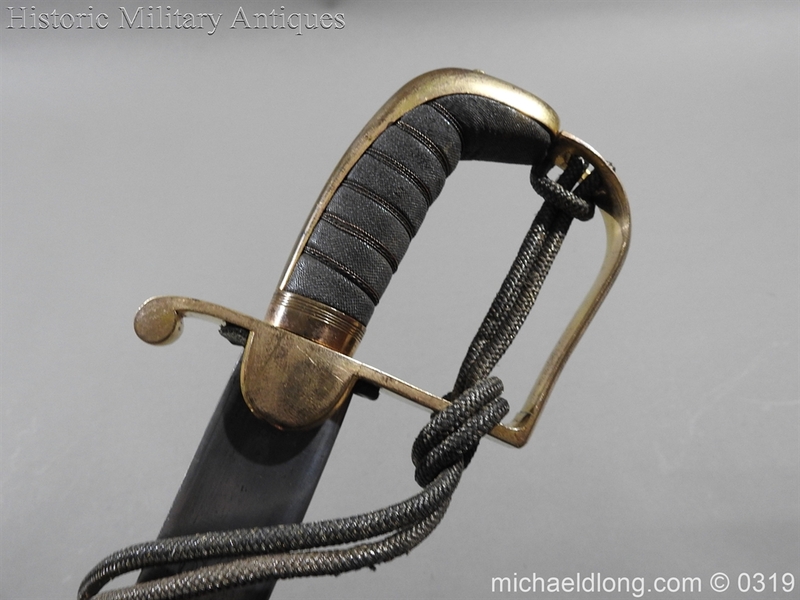 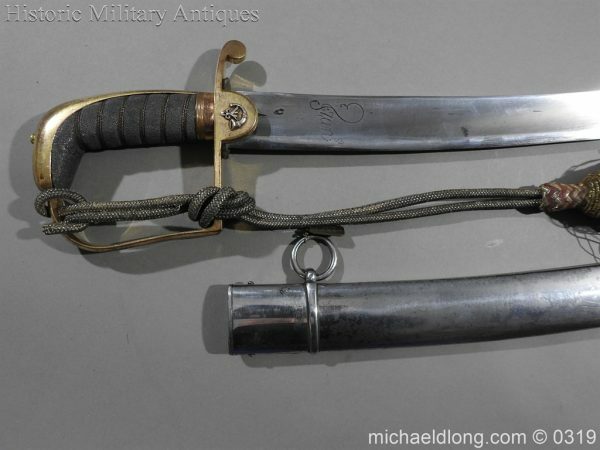 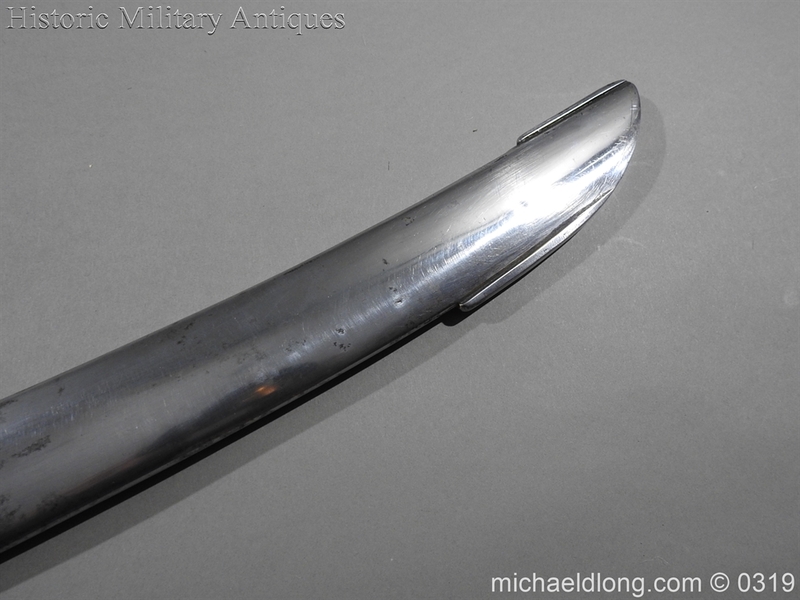 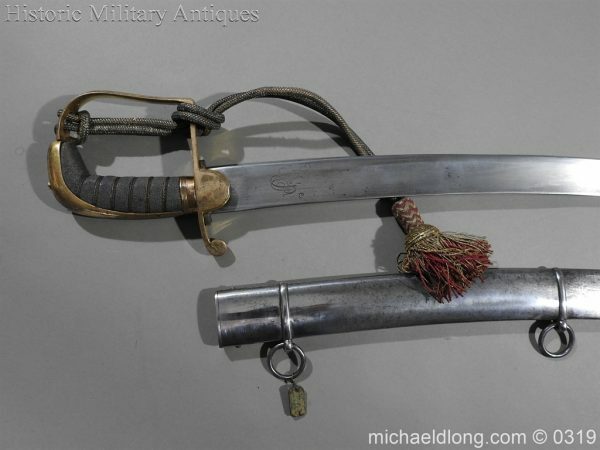 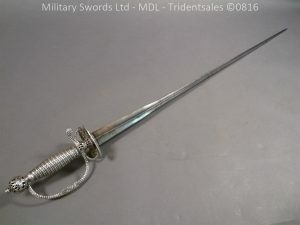 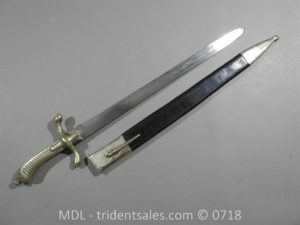 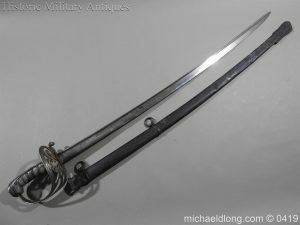 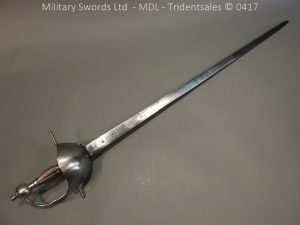 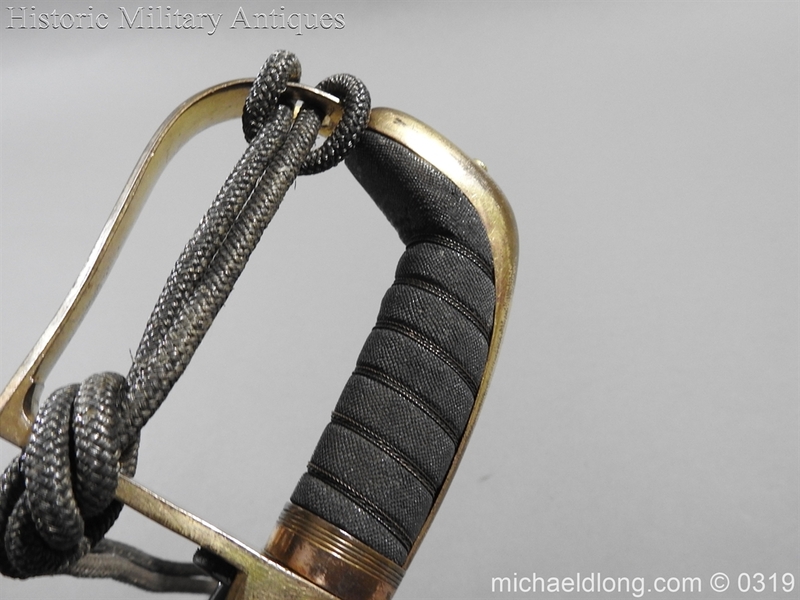 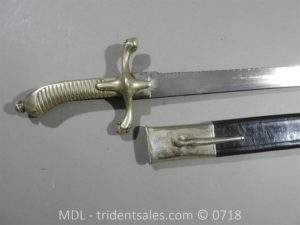 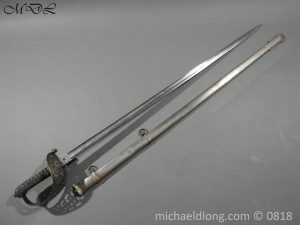 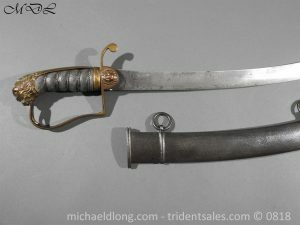 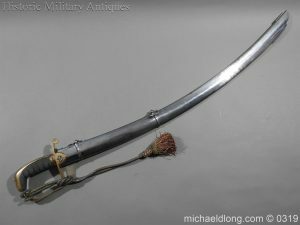 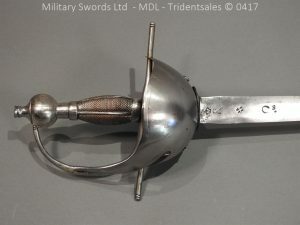 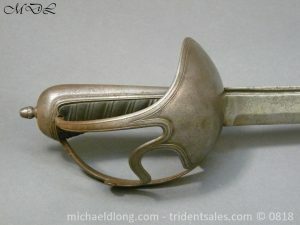 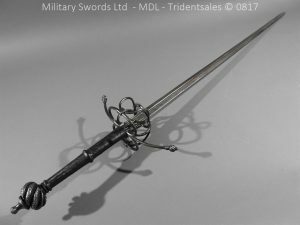 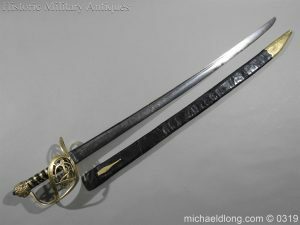 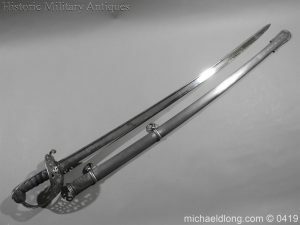 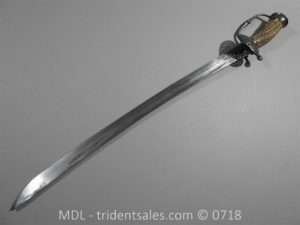 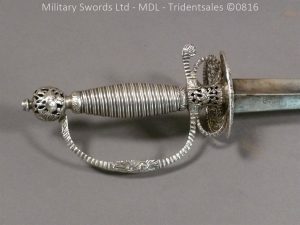 Kings German Legion Officer’s Sword, 1796 pattern hilt but gilt brass with beak style pommel. The grip is fish skin secured by twisted brass wire. 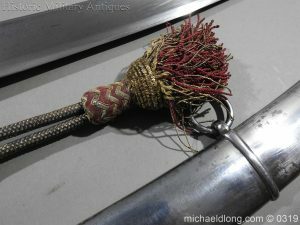 The rounded langet with silver slung bugle and complete with German gold and red sword knot. 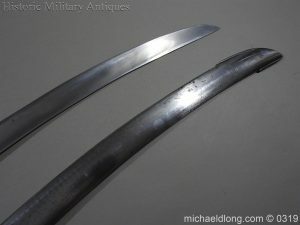 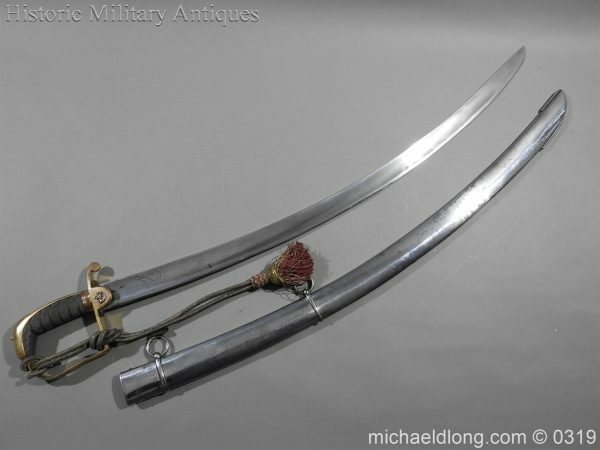 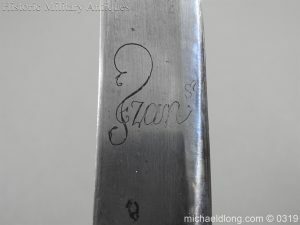 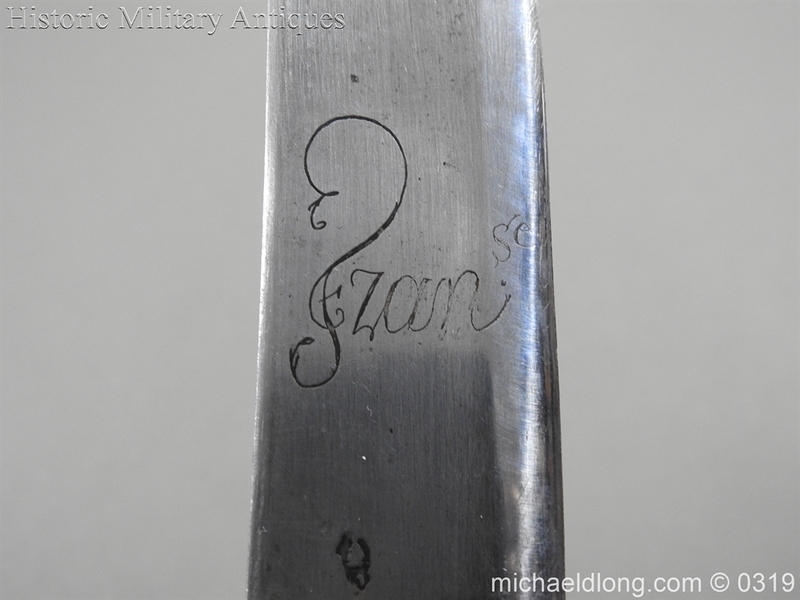 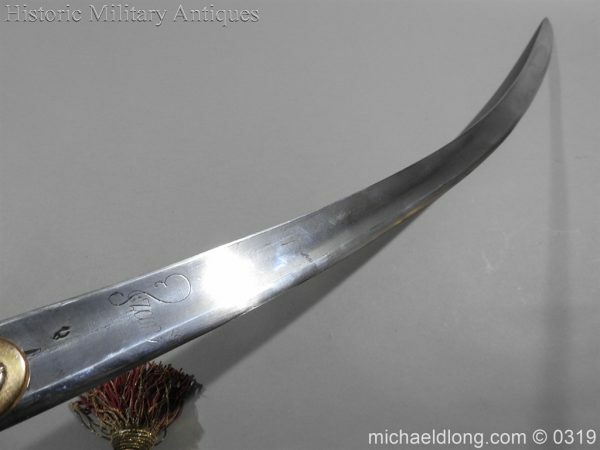 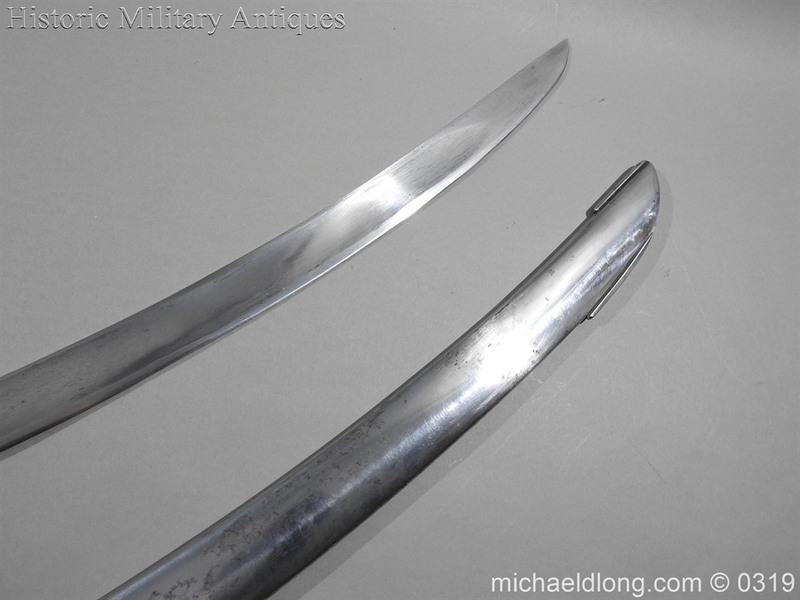 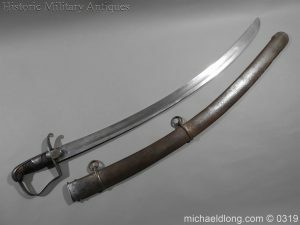 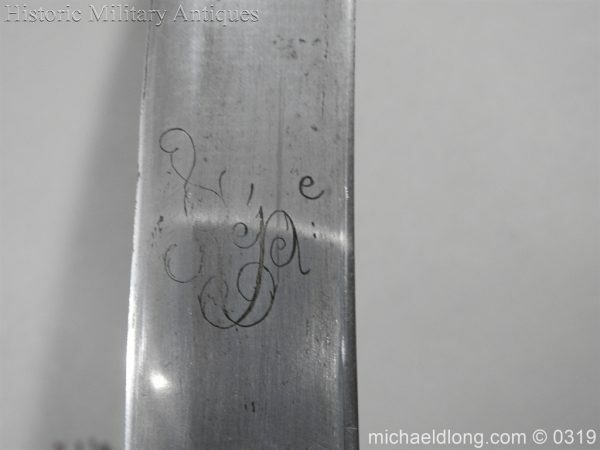 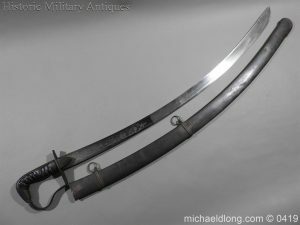 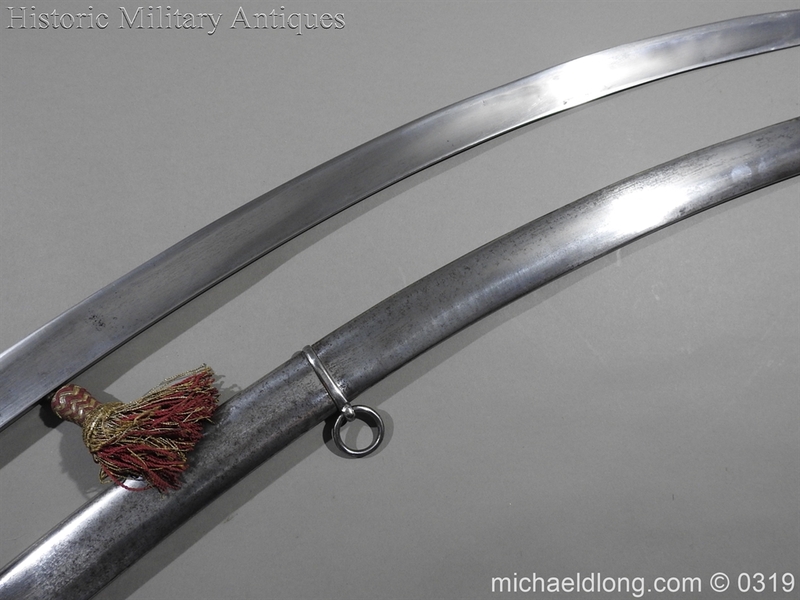 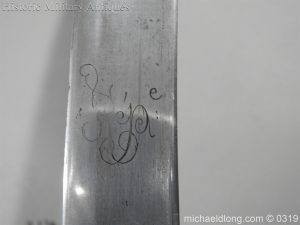 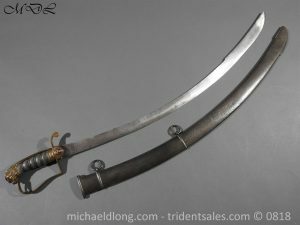 The French curved blade single edged engraved both sides with script and the spine marked KLINGENTHAL. 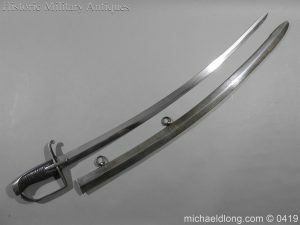 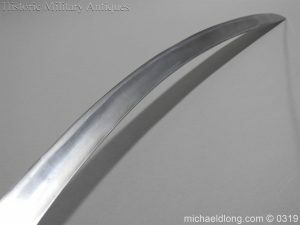 Complete with steel polished scabbard with two loose rings Overall Length 35 inches the blade 30.5 inches. 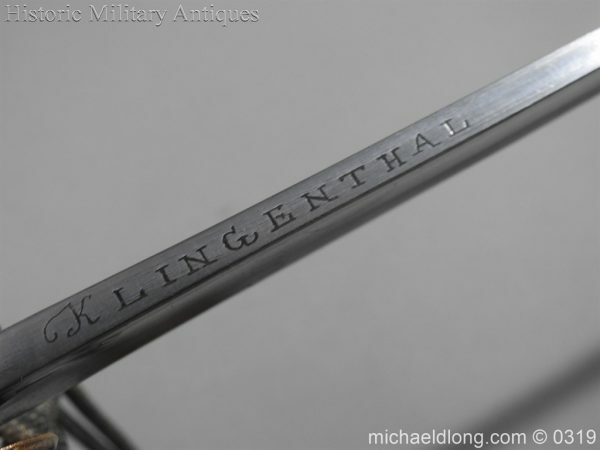 Notes:The King’s German Legion (KGL) was a British Army unit of mostly expatriate German personnel during the period 1803–16. 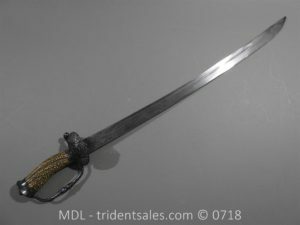 The Legion achieved the distinction of being the only German force to fight without interruption against the French during the Napoleonic Wars.